PlaSmart Inc. is a global toy distributor specializing in smart, simple, toys and games. PlaSmart began its journey to worldwide success with the introduction of The Original PlasmaCar in 2003 and today its products can be found in more than sixty countries on five continents. PlaSmart’s innovative and quality products have won numerous and prestigious toy awards. 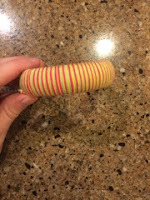 The company focuses on toys that develop motor and dexterity skills, balance, creative and imaginative play, hand-eye coordination, problem-solving skills and, of course, entertainment. PlaSmart is proud to work with toy inventors and designers who share its vision. In addition to PlaSmart’s philosophy of marking smart, simple toys, it has an internal belief to ‘under promise and over-deliver’ to its retail partners. 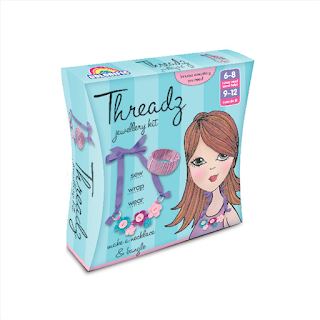 My 7 year old loved the Threadz Jewelry Kit! She's been trying to learn how to knit and crotchet but hasn't quite grasped it yet so this kit is perfect for her. The kit comes with a blue ribbon, premade crotched flowers, 3 buttons, two loops, colored thread, a plastic bracelet and a plastic needle. 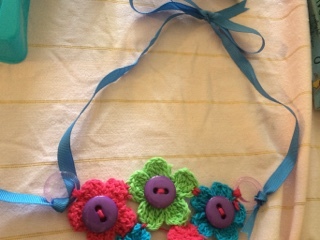 The flowers are already crotched so all she had to do was sew the buttons and loops to the necklace using the plastic needle and tie the blue ribbon on. The plastic needle works great and it's nice that you don't have to worry about your child accidentally pricking their fingers. For the bracelet all she had to do was cut the strings, wrap them around the plastic bracelet provided in the kit and tie if off. My daughter enjoyed completing both projects. She plans on giving them to her 5 year old sister for her birthday and I just know they will be absolutely adored. 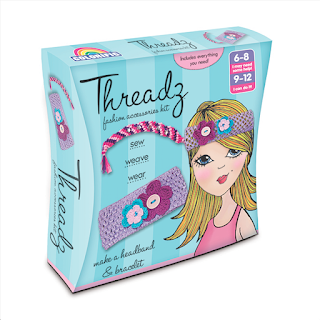 My daughter loved this Threadz Fashion Accessory Kit! 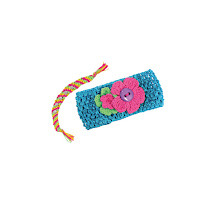 The kit comes with a premade headband, 3 crotched flowers, a button, plastic needle, colored thread, and star beads. All your child needs to do to create the headband piece is attach the flowers and buttons to the headband by using the plastic needle provided in the kit and the piece is complete. For the bracelet you cut the strings, braid them together, attach the star beads and tie the ends together. 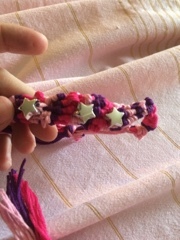 Both pieces are super easy to create and my 7 year old had no problems creating the pieces on her own. 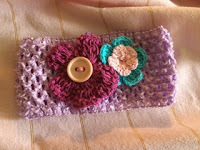 This is a fun kit for any little girl! Click HERE to learn more about PlaSmart. Click HERE to learn more about Threadz. Follow PlaSmart on social media!